Reading has always been a large and very positive part of my life. I am a reader and my reading life was formed during my early childhood living in a home surrounded by books. My parents are avid readers and, throughout my childhood, I remember them reading every night. They clearly enjoyed reading and it was such a great part of their life that it became a great part of mine and my brother’s as well. I learned to read in elementary school. It was a milestone in my life and I remember proudly reading to my brother from my very first reading text, moving my index finger along each word as I read it. In their reading classes, my students are learning all about the importance of building a “reading life” and it is my goal to help my students grow a reading life that is as rich as my own. As a school librarian, I know that not all students consider themselves readers. 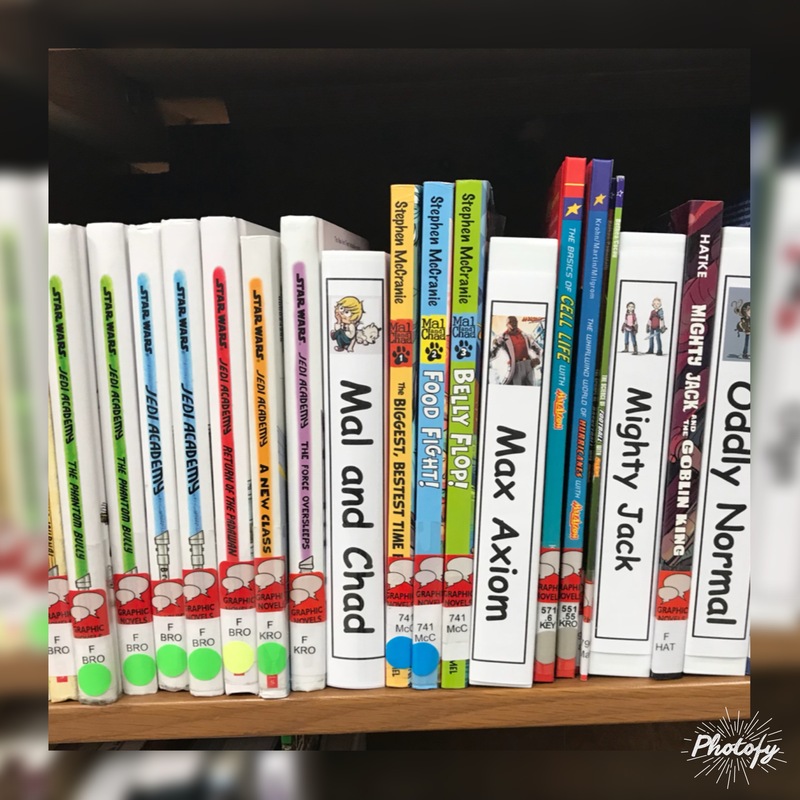 Over the last few years, one format of books that has increasingly become popular in our school library (and across the country) is graphic novels. Those are books written and illustrated in the style of a comic book, meaning the story is told using pictures and words in a sequence. Graphic novels can be any genre and resemble novels in length and narrative development. This format has become so popular that classic prose fiction, such as Jack London’s Call of the Wild and Jonathan Swift’s Gulliver’s Travels, has been adapted in this format. While the prose versions of Ann M. Martin’s Baby-Sitters Club books are shelf-sitters at my school, I cannot keep their graphic novel adaptations on the shelves. So we’ve been building our collection steadily. Turns out that “graphic novel” is somewhat of a misnomer as we’ve now added biographies and many informational books on science, sports, and historical topics to this collection. The graphic novel format has exploded and for good reasons. Motivation: Graphic novels are a great way to get kids to read. In fact, two boys from my 2nd-grade class come to the library every day to check out two graphic novels each. They’ve read through the fiction and the sports books and are now working their way through the books about historical disasters. These boys choose what they read and clearly read a lot, including outside of school. And I see it daily. Students come to the library with follow-up requests for additional reading on topics across the spectrum: history, science, and literature. 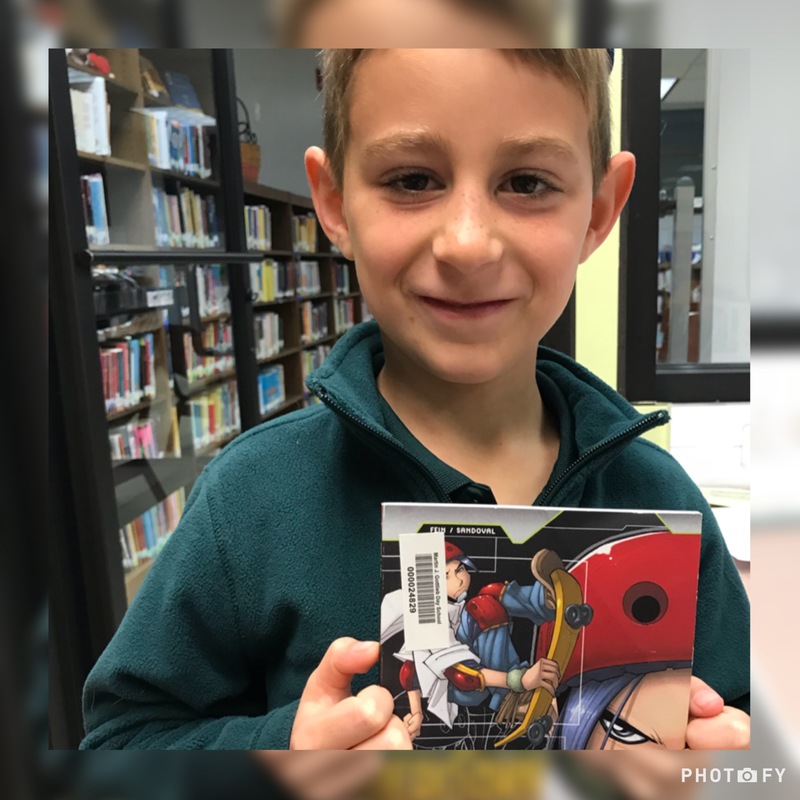 For a fourth grade student who is learning English as a second language, graphic novels have allowed her to successfully read a book by using the illustrations as contextual clues. And a fifth-grade student whom we once characterized a dormant reader, to borrow Donalyn Miller’s term, has used graphic novels as a conduit to reading prose fiction. Building Literacy Skills: The fact is that when reading graphic novels, readers still have to comprehend narrative structure, point of view, and more. Arguably, graphic novels place greater demands on the reader by requiring them to employ their visual literacy skills as well–reading a story through both text and images. My students are drawn by the pictures to graphic novels and my younger students in particular will choose a graphic novel over a traditional text. Making meaning from a book is not relegated only to text. Perhaps this perfectly aligns with our modern times where information is conveyed in multimedia formats? Children become readers for all kinds of reasons. Sometimes it is a certain series, books by a specific author, curiosity about a subject, and so on. The key, however, according to researcher Stephen Krashen, is to engage in “a great deal of interesting (better yet, compelling), comprehensible reading.” Based on the formal research cited here and my informal observations in our own library, graphic novels motivate reading and powerfully engage young readers. As I listen to our students recommending books to each other, it is also obvious that our graphic novel collection has created little reader communities–a librarian’s dream!